Attention Deficit Hyperactivity Disorder – or ADHD – is thought to be caused by a chemical imbalance in the brain that affects attention, concentration and impulsivity. Someone with ADHD might have significant attention problems, appear restless, fidgety, overactive and impulsive. They can act before thinking and often speak before thinking by blurting out and interrupting others.ADHD isn’t a disease or the result of damage to the brain but it a dysfunction that means the brain doesn’t function in the way it should. Studies show that ADHD may affect certain areas of the brain that allow us to solve problems, plan ahead, understand others’ actions, and control our impulses. It begins in childhood and can continue through adolescence and into adulthood. The causes of ADHD are still not fully known. It is believed to be caused by poor transmission of messages in the brain, and in particular by low levels of the neurotransmitters dopamine and norepinephrine, which carry messages from one neuron to another. These neurotransmitters are particularly associated with attention, organisation and managing emotions. Some children grow out of ADHD; others have problems that continue into adolescence and beyond. Approximately two out of five children with ADHD continue to have difficulties at age 18. The main symptoms of ADHD, such as attention difficulties, may improve as children get older, but behavioural problems such as disobedience or aggression may become worse if a child does not receive help. In particular, boys who are hyperactive and aggressive tend to become unpopular with other children. It is therefore very important for children to receive help as early as possible, to prevent them from getting socially isolated and from developing other emotional and behaviour problems that can persist into adult life. ADHD is often treated with stimulant medication. The theory is that medication can either reduce the uptake or increase the production of the neurotransmitters, so increasing the levels in the brain. Medication does not cure ADHD – it can only reduce the difficulties it causes. However there are concerns that these drugs may be used too quickly to deal with behaviours that are not due to ADHD/ADD at all; the child may be simply over-boisterous or unruly or difficult to manage for other reasons to do with their family and environment. Also, they are very powerful drugs – some are classed as amphetamines – and can carry other health risks. 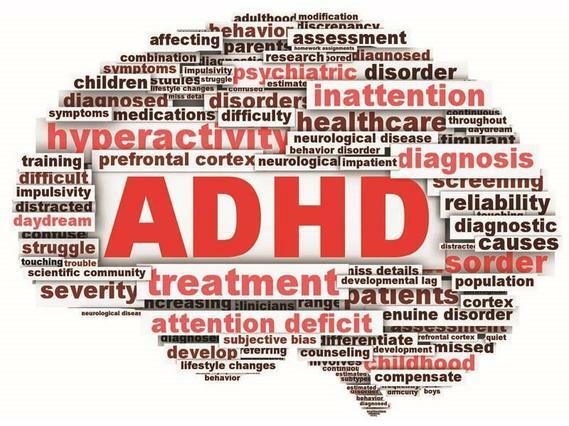 Non-medical ways of managing ADHD include exercise, healthy diet, sleep management and behavioural therapies.